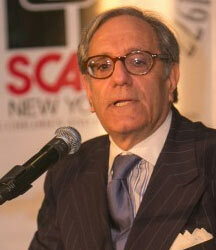 Lewis Zuchman joined SCAN in 1987 as Executive Director. He was one of the original 1961 Freedom Riders and has received significant recognition for his vital contributions to the 1960’s civil rights movement. Mr. Zuchman is the founding President and current Co-Chairperson of the Human Services Consortium of East Harlem, and is an Adjunct Professor at Hunter School of Social Work and the Colin Powell School at the City College of New York. Mr. Zuchman was recently appointed to NYPD Commissioner William Bratton’s Re-Engineering Youth Task Force. Contact a staff member by visiting our contact page. Receive email newsletters from our organization. Supporting children and families in crisis since 1977. SCAN-New York Volunteer Parent-Aides Association, Inc.